Nate rides a Chongqing-made Yamaha YBR 125 KG, that has been sturdy and unrelenting throughout the increasingly deep springtime mud and fall rice harvests that fill rural southern Chinese Roads. He'll be using this bike for the trip. Although the ride will be significantly slower and more challenging on a 125cc dual-sport, the only way to see a place is to slow down and pay attention. 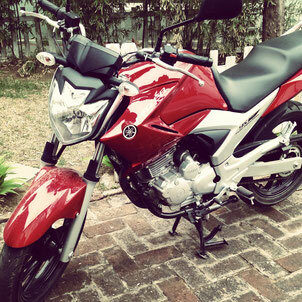 The 125 KG does have it's positives too: it's extremely fuel-efficient, and does well in almost any terrain. Jieming bought a Yamaha YS 250 for this trip. He decided to go with the 250cc because it's a good back-up in case the 125cc needs assistance, and he doesn't want to lose the deposit on his carnet in case a 125cc breaks down in the middle of the African savannah. 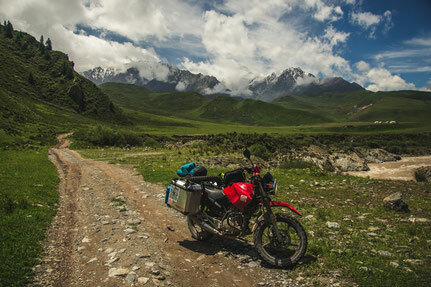 The YS 250 has proven itself in many a trip report across China, and with a few small modifications, it will be just as capable as the 125 KG in handling rough terrain.